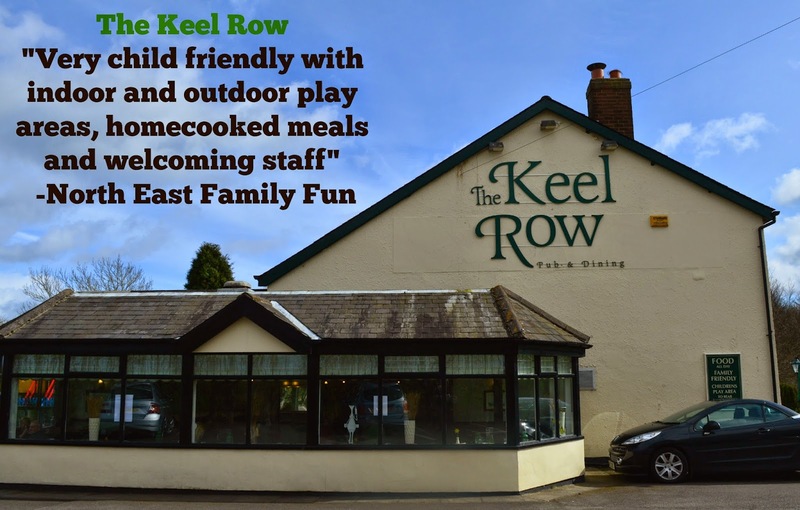 The Keel Row in Seaton Delaval is more or less on our doorstep but for one reason or another we had never paid them a visit. We decided it was time for this to change and we decided to book a table for family lunch in the first week of the Easter holidays. We arrived at 1pm - rather exhausted after our trip to Newcastle Castle and looking for a hearty meal to satisfy our hunger. On entering we were asked if we would like to sit in the dining room or bar area - we opted for the dining room and loved all of the fresh daffodils that filled the room. Our drinks order was taken straight away and there was a good selection of draught beers and lagers available. Our children were also made to feel extremely welcome and each all given their own activity book and crayons to keep them occupied. The landlady Sharon was very visible during our visit and it is clear that The Keel Row is a regular haunt for many as staff chatted to diners like old friends. I had already informed the kids that there was a park at the Keel Row and as soon as we ordered they were desperate to get outside. 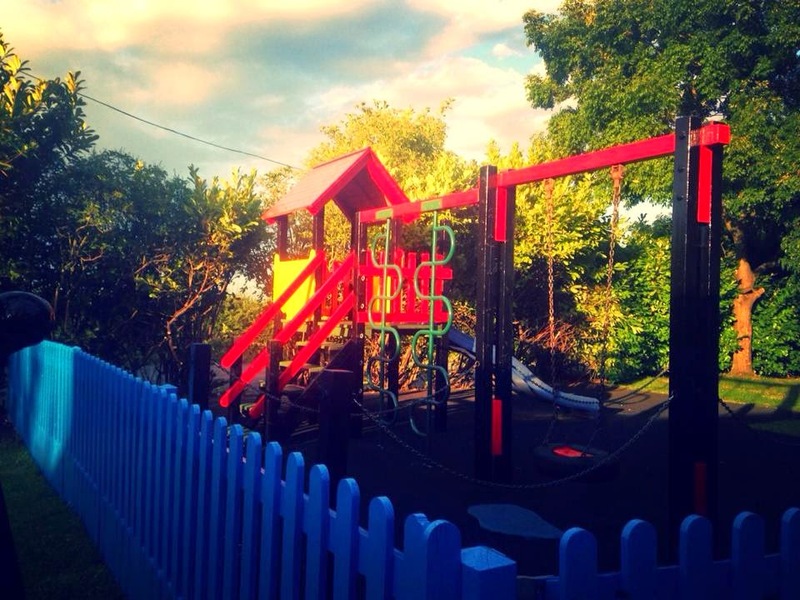 The park is small but perfectly formed and more than suitable for our 4,6 and 8 year old. If your children are too young to play out unsupervised there are outdoor picnic benches outside too which I imagine are very popular in the Summer. Our food arrived within about 20 minutes of ordering and it was all brought out together which is always nice as it means nobody is waiting around. I opted for the homemade steak and ale pie (£5.95). My steak was lovely and tender with lots of rich, meaty gravy and there was a huge puff pastry pie crust. The food at The Keel Row isn't likely to win any awards for gourmet cuisine but what they do provide is honest, homemade comfort food which was perfect for us that afternoon and just what we needed. Hubby went for the homemade mince and dumplings (there is a dumpling hiding under all of that mince) which is served with a choice of potatoes and vegetables. The mince tasted like it had been slow cooked and really hit the spot. Children's meals are reasonably priced at £3.95 each. Jack and Heidi went for their favourite chicken nuggets and chips and Harry decided to order a cheeseburger. Both were hits with our children who quietly demolished the lot! There was no way the grown ups could fit in any dessert after our huge mains but we allowed the kids to choose a dessert as they had eaten all of their lunch. They all decided to go for some novelty ice creams which reminded me of the type you get on holiday abroad. The kids loved these and of course we had to bring the character pots home with us. Jack didn't want to take his coat off after playing outside! We still had some of our drinks left after our meal so decided to move through to the bar area where the staff had informed us there were a few toys for the children to play with. 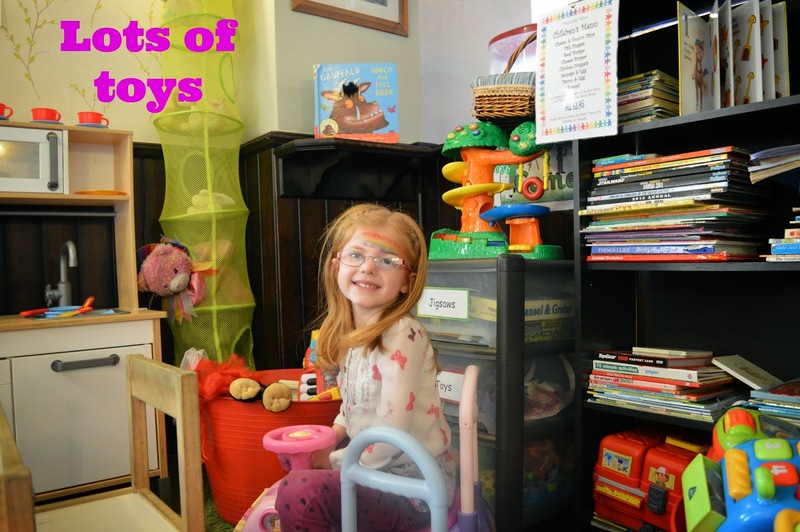 I expected a small box of a few tatty toys which is usually the case in pubs who offer toys - I was not ready for a whole corner of the pub dedicated to children! Heidi and Jack were in their element as they played chef's in the play kitchen, read stories, played musical instruments and sat on the ride ons. There were buckets of baby toys too and Mister Maker was on the TV in this area. This play area is a huge advantage to The Keel Row - I get inundated with questions asking me to recommend pubs with indoor play areas - well from now on The Keel Row will be my answer. As a parent it is nice to enjoy a meal with your family however it is equally as nice to enjoy a drink with your husband in relative peace as you watch your children play. The Keel Row feels like it is really part of the community. There are a fair few flowers around the pub now but from May you will see an abundance of flowers as they prepare to enter the annual bloom competition. They also feature regular and one off events including quiz nights and bingo along with charity evenings and fun days for which they have been awarded The Community Pub Award Winner for raising over £10,000 for Macmillan. Thank you to Sharon and your team for a wonderful warm welcome. I think our trip to The Keel Row is actually the longest we have ever spent inside a pub with our children - they didn't want to leave! What a fantastic and very honest review of the Keelrow. As a regular here with my own children (who love the place) its really good to see Sharon and her team get the glowing reports they deserve. Nicola. They certainly deserve their praise - I think Sharon and her team really make the place and have made their pub as welcoming and inclusive to all as possible.